To achieve this Owl has developed an extensive portfolio of patented technology that allows customers to protect networks and perform a wide range of secure data transfers to maintain business continuity. Owl products are based on the Owl DualDiode Technology™ platform and use proprietary middleware to interface with applications at the transport layer. By working at the transport layer, Owl products can easily be implemented to secure a network and perform a number of different data transfer operations (files, alarms, images, video, etc.) without interrupting the existing flow of information between segments, domains or networks. Transfer operations supported by these product lines include data streaming, file transfer, database & historian replication, remote monitoring and process control vendor support. These high level capabilities facilitate application and transport layer transfers of information like SQL databases, image files, satellite images, email, chat, FTP, Syslog events, UDP streams, TCP/IP transfers, software patches and streaming video. Today Owl is installed in over 2000 sites, enabling the secure transfer of information across network security domains. Owl’s file transfer solutions provide our customers with a highly reliable one way transfer of data sets (files) across security boundaries. Owl’s solutions can transfer any file type without file size restriction and can automatically transfer entire directory structures, recreating the directory structure on the destination network and transferring the contents into it. In addition to supporting standard file transfer protocols such as FTP and SFTP, Owl has developed file transfer applications that easily integrate with our customer applications and provide guaranteed file delivery. Supporting optional file scanning and integrity checking, Owl’s File Transfer Applications ensure unsurpassed levels of security and reliability. Customers rely on Owl’s DualDiode Technology™ to securely transfer files across network boundaries while protecting the networks that contain the data. Typical uses include the transfer of system log files and events to remote monitoring centers, transferring emails across security boundaries, sharing documents, reporting results of lab tests and product batches, moving production data, making government reporting data available and transferring maintenance information. While many of our 2000+ deployments are moving data as discrete files, many others are moving data as packet streams. From massive network wide deployments where we process all of the network traffic and pass raw Ethernet packets at a full 10 Gbps line rate to smaller deployments where we process a single UDP video stream, a number of hardware and software combinations are available. The available solutions include both OCDS and OPDS products to satisfy both government and commercial deployments. Our OPDS-100, OPDS-100D and OPDS-1000 offer transfer rates from 10 Mbps to 1 Gbps in two different, all-in-one form factors and we have a number of different software applications designed to meet specific transfer requirements. All of our solutions use our DualDiode Technology™ to ensure one-way only data transfers to ensure the network remains protected. Customers use are streaming capabilities to forward system logs, performance management information, video, large high-resolution images, SNMP information, syslog messages, network traffic, network health messages and raw Ethernet packets to do network analysis and intrusion detection. Relational databases are deployed to support the business operations of companies in nearly every industry and are used in a wide range of mission critical applications. Cyberattacks target databases to gain access to confidential data or alter process information to harm business operations. In response, Owl has developed the Secure Database Transfer Service (SDTS), a SQL database replication software module which can be deployed with any OPDS DualDiode solution. Owl also provides a full-featured historian database replication software module, the Owl PI Transfer Service (OPTS). OPTS transfers PI and PI-based historian database records, snapshot data, historical archive data and schema definition. This provides real-time transactional data updates, access to historical information to backfill after any service interruption, the ability to build a new PI database from scratch and full support for add/modify/delete for both data and the schema. This robust capability also supports true PI to PI replication. The OPTS software module can be deployed with any OPDS DualDiode solution. Database replication is typically performed from a higher security network or domain to a lower security domain. The source database is isolated from externally initiated cyberattacks, thus maintaining data integrity and business continuity. Owl database replication can be configured to query and replicate an entire database or a subset of a database, enabling secure remote monitoring and data analysis or secure off site database backup and disaster recovery. Remote monitoring of systems used to support IT and Industrial Control applications provides an operationally efficient, cost effective means to ensure business continuity. Unfortunately, the same data communication infrastructure used to support remote monitoring also makes the infrastructure vulnerable to hackers. 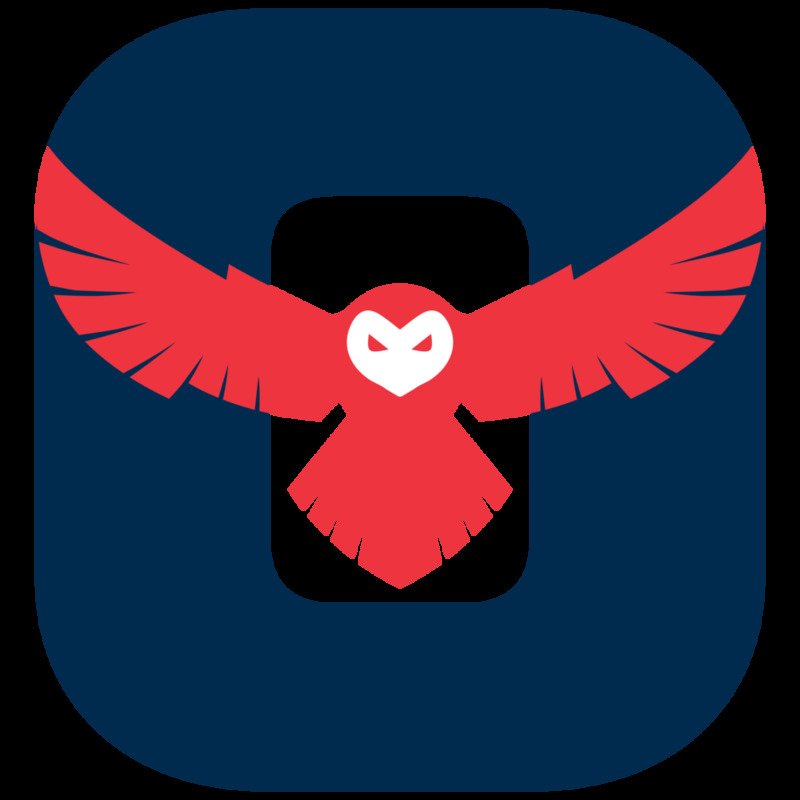 For over 10 years Owl's Perimeter Defense Solutions (OPDS & EPDS) have supported the secure transfer of Syslog messages, proprietary system log files, SNMP Messages and system Alarms and Events data out of the network to end-users while enforcing a network security perimeter which isolates critical systems from outsider threats and cyber-attacks. Owl’s OPDS and EPDS system have been deployed to facilitate the secure remote monitoring of Nuclear, Fossil & Hydroelectric power generation control systems; Electric Transmission & Distribution substations infrastructure; Oil and Gas production and distribution systems; IT Infrastructure for Banking and Financial institutions and many other systems supporting a variety of industries Owl’s solutions not only move data and make it available remotely but we can also replicate HMI screens making them accessible at remote facilities. Owl’s offers an OPC certified Alarms and Events (OPC A&E) connector with our OPDS and EPDS solutions and Owl solutions support transferring PAS Alarm Management Alarms. The automation of factories, power plants, distribution centers and other production facilities rely on Distributed Control Systems (DCS) and Supervisory Control and Data Acquisition (SCADA) systems to support process control activities 24x7. Information gathered by DCS and SCADA systems needs to be securely transferred between the plant and the business networks without jeopardizing the security, safety and reliability of the plant. Over the last 12 years Owl has worked with suppliers and customers to develop a set of cybersecurity products that protect networks and support a wide range of data applications and interfaces used in plants. These products are currently protecting hundreds of customer sites globally. Utilizing Owl’s OPDS or EPDS solutions as the core, Owl offers a wide range of Data Historian connectors that integrate seamlessly to solutions from leading historian vendors such as OSIsoft®, GE, Rockwell, Schneider and others. 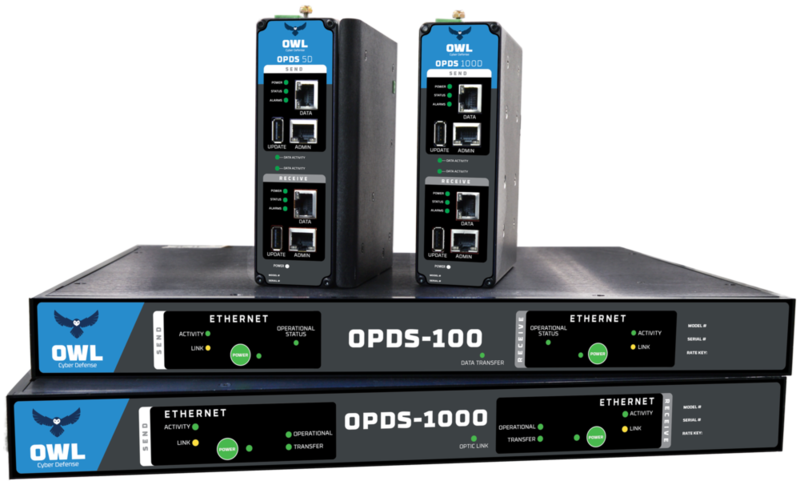 Owl also supports MODBUS and OPC certified connectors that interface directly to PLCs, RTUs or other SCADA devices to move real-time plant data across network security boundaries. Owl also provides monitoring applications such as the Owl Virtual ScreenView which supports a nonintrusive monitoring of SCADA HMIs or other plant applications. In addition, Owl supports the GE OSM system, securely transferring data from the OSM server to remote monitoring centers.